Glass Juliet Balconies made to order from £396 inc Vat. Delivered to your door ready to be fitted – designed for easy installation. The maximum width for a single glass panel is 5 metres – we don’t know of any other domestic supplier making balconies that big! Clear glass is standard, or sand-blasted (frosted / opaque) glass available. Allow from 2 days to 2 weeks for build and delivery. Stylish glass balcony without side braces. Up to 3.5 metres wide with a single pane of glass. Build & delivery in as little as 2 days! Available in anthracite grey, graphite silver, white, black or any colour of your choice for an extra £25. Any size up to 7 metres wide - up to 5 metres with a single pane of glass. Call 0161 241 9872 / 0792 935 8157 to order or get a quote – open until 7pm, monday to saturday. If for any reason you are not completely satisfied with the service we provide, simply return the unused goods to us within 2 weeks for an immediate replacement or refund. 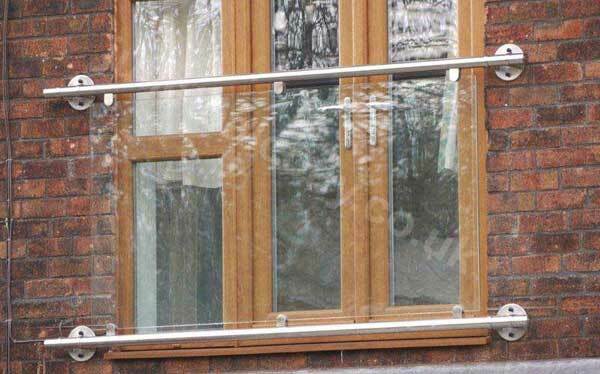 All glass balconies are made from 316 marine grade stainless steel to prevent corrosion. Included are stainless steel fixings, vinyl touch-up paint and plastic bolt covers to achieve a professional finish. As featured in Sarah Beeny’s at home magazine. © 2018 C&R Direct Ltd. Established 1989. If for any reason you are not completely satisfied with the service we provide, simply return the unused goods to us within 2 weeks for an immediate replacement or refund. 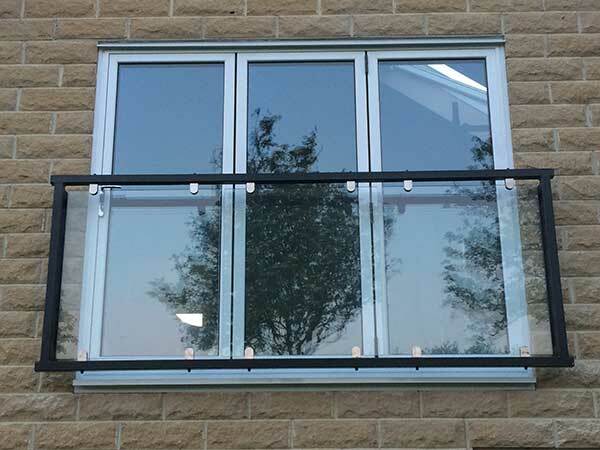 All balconies are either 316 marine grade stainless steel or 'hot dip' galvanised (to BS729) to prevent corrosion. Included are stainless steel fixings, touch-up paint and bolt covers to achieve a professional finish.